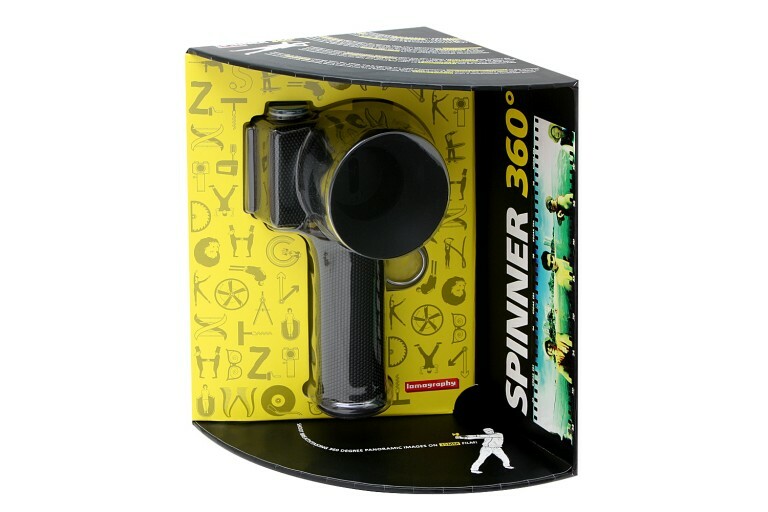 I love my Lomo Spinner 360 camera. It’s a crazy design – a 35mm camera “spinning” around on a central column using a ring pull and rubber band! Unbelievably somehow it works…. and works well. The freedom of expression you get and the satisfying spin is very hands on – something modern digital cameras cannot achieve. Even better – it uses 35mm film and exposes over the sprockets. How cool is that? Forget the digital scatter gun approach to photography – this camera makes you think about composition, light, angles and timing. Get any of those wrong and one of your eight exposures has been wasted (on a normal thirty six exposure film). Wow – brings back all the fun of photography that we used to enjoy which is sadly disappearing. After a fun day out taking pictures and showing it off to everyone watching you – they’re all mesmerised by this weird spinny thing – it’s off to the lab for processing. That eager thirty minute C41 process with “have they worked”, “is the exposure okay”, “did I get the angle and timing right”. “Don’t cut the negs” you shout as you are so pre-occupied with concerns over your photography…. Finally, a rolled set of fresh negs are handed over to you – are they okay? Light box and Lupe on stand-by! Oh wow, the density is good. I wonder what the colours are like? I’ll need to get them scanned in. And that’s when all the problems begin! Some lab’s can scan XPan which is okay for XPan but the negatives from the Spinner 360 are at least double XPan and some…. In fact in the middle of the film they are quite a bit longer as there is less friction on the camera spinning round – half the film in the camera and half in the film canister. So how do you scan these panoramic negatives? Well the simple answer is there is no easy answer! Most minilabs cannot help – they scan portions of the negatives but not all of it and worse they are unable to scan the sprockets. They’re just not designed to work with these types of negatives. So that really leaves flatbed scanners with negative adaptors. Not all flatbed scanners are the same! Cheap scanner = rubbish scan. Get a decent flatbed scanner. Personally I use the Epson V700 – it’ll scan a full size glass plate if you can still find one! Or a 10” x 8” transparency – remember them?! I’d like to see a digital camera compete with that in terms of resolution!! You can try dedicated 35mm scanners but you are going to come across the same problems that minilabs have – you cannot scan the sprockets in the film and seeing as this mad Lomo camera does expose over the sprockets it would be a shame to lose this in the panoramic prints…. It’s far better to use a decent flatbed scanner with the film adaptor. Okay, all set, hit scan…. Ddddddddd, Dddddddddd, acquiring, what’s it like? Oh! What’s this weird swirly thing on my scan? Newton rings….. Oh-Oh. How do I get rid of this? A tricky one to achieve while still maintaining the sprockets in the scan. I want the sprockets in the scan! To do this though means placing the negs directly on the flatbed scanner which results in Newton rings as the neg scanner placeholders crop off the sprockets. Quite a conundrum. The answer involves some creative thinking and some custom made masks: As long as you can raise the negatives off the scanner glass then all will be fine, but how do you do this? Well the simple answer is thin card, scotch tape (magic tape) and some trial and error. Taping the ends of the negatives to some thin card and taping the card to the scanner so that the negatives lie flat and taught will allow you to scan your Lomo spinner 360 negatives in. It does take a bit of trial and error but the end result is worth it – after all you took the time to take the photo in the first place so a little bit of time spent with the scanning is worth it. Scotch tape is pretty easy to remove without leaving too much of a sticky residue - it's easy cleaned off with glass cleaner and it won't harm your scanner. Quite often the scanner software will attempt to set the density of your scans incorrectly – usually over exposed and the easiest way around this is to scan more than is actually required. This will result in a vastly under exposed scan but at least all the detail and colours will be there. The next step is to crop tightly to the negative in Photoshop and then adjust the levels manually. Usually I find adjusting the white and black points manually will result in a good scan. You may need to further alter the colours using hue and saturation but the end result is really good as Epson scanners tend to be really good at adjusting the focal range accurately. As I have already said some trial and error is necessary to achieve the best result – quite often scanning several times to achieve optimal results. The final scan will require dust removal in Photoshop (I have yet to come across the perfect scanner that will remove the dust one hundred percent, even with digital ICE). Once you have scanned your negatives in though, and made the relevant adjustments, the results are mind blowing! What an amazing camera – it’s just out there with some of the most amazing photography that you will ever see. 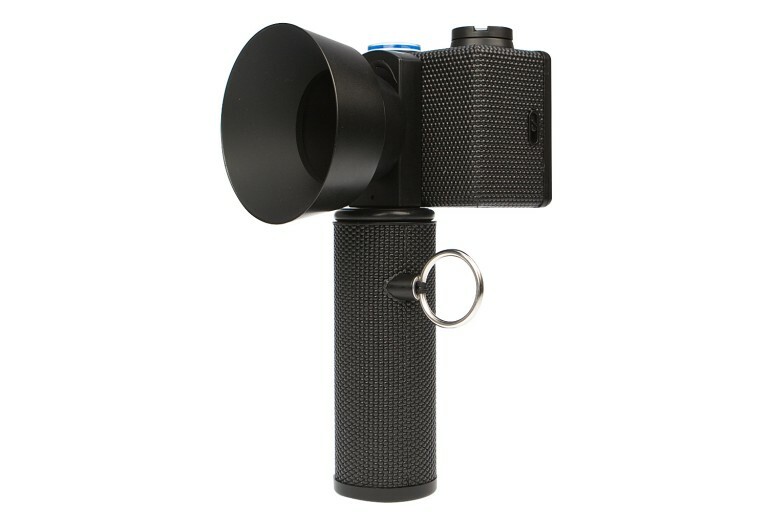 It part captures panoramic photos and also part captures a timeline as it will often capture more than 360 degrees where something in the shot moved. Wonderful! Of course the next step is to print out your panoramic photos and what better way to do this than onto canvas? Panoramic canvas prints are truly stunning – they are easy to hang and allow you to view your photography any time you wish. Trouble is you will run out of wall space very quickly – they’re beautiful! Click here for more information on printing scanned panoramic negatives onto canvas. Happy spinning and printing everyone!